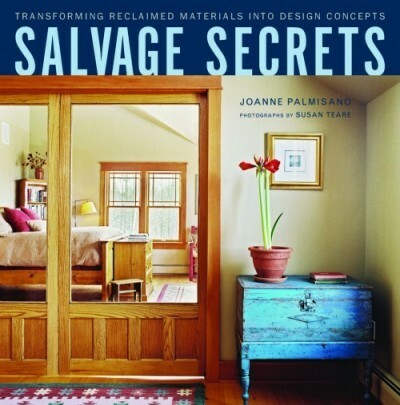 After attending an event over at Rejuvenation featuring Recycling and Re-purposing Master, Joanne Palmisano, (see her book below) I’m a little obsessed with salvaged materials! 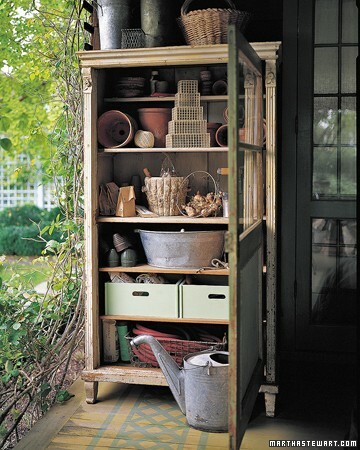 Of course, I love the green factor but you gotta adore the aesthetic value salvaged treasures bring to a space – the gorgeous texture and colors of salvaged wood, the chippy paint of an old barn window or the rust and patina of used metal. I can’t get enough of it and I plan on using these kinds of materials in my garage remodel and shed project. 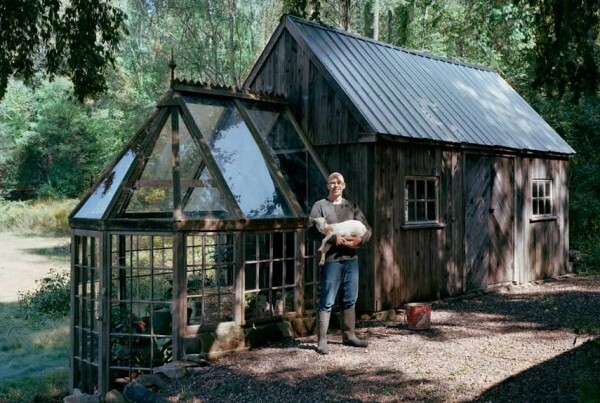 Speaking of the shed project…I’ve been spending a lot of time in the garden and I’m thinking a sweet lean-to shed is just the thing! I want it to be funky and fun with quirky details and a well loved look. Scanning the internet, I was thrilled at all the salvaged ideas I found! 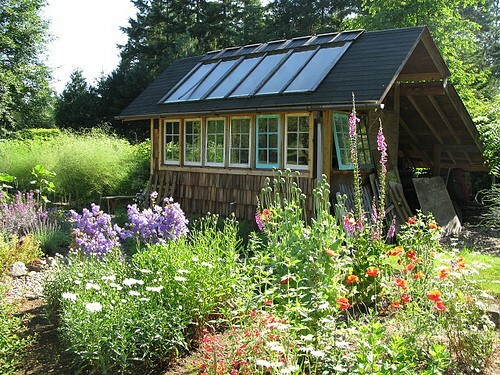 How cute is this little shed using reclaimed windows? So charming! I love the beauty of old watering cans, rustic baskets and worn metal basins. These kind of textures just belong in the garden. 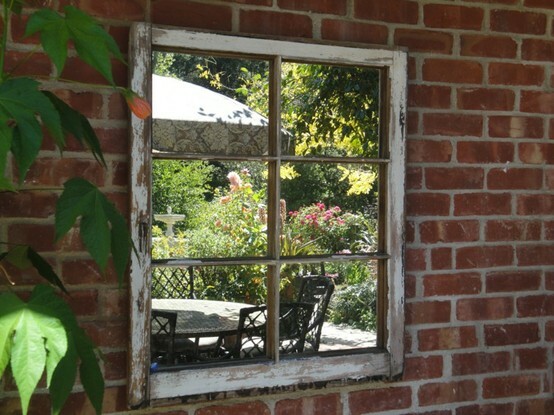 Jazz up a boring brick wall in the garden by turning an old window into a mirror! 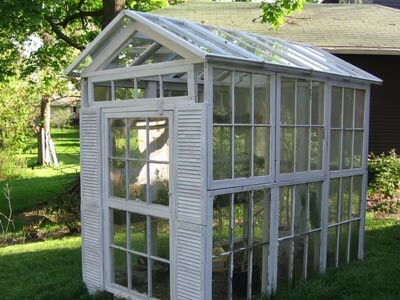 create an entire greenhouse from salvaged windows! 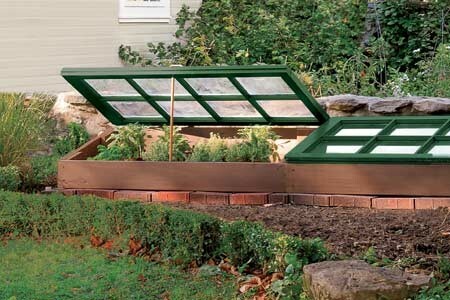 Want more old window projects…go here. New bricks are boring! 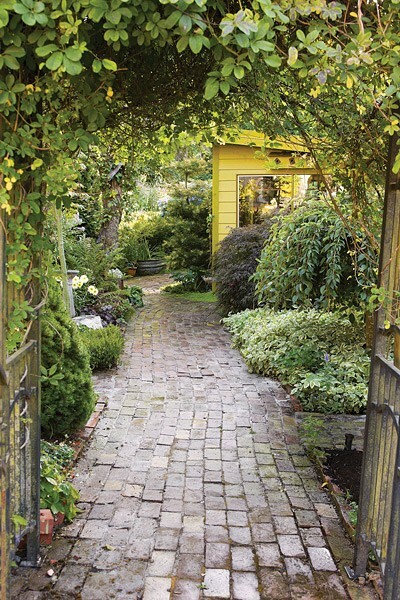 Why not recycle and create a garden pathway using old bricks…weathered charm included! and so was this one….WOW! 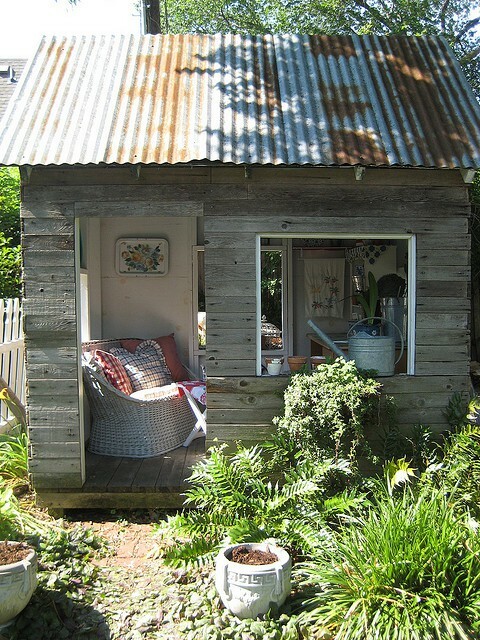 My mind is full of ideas and inspiration for my little shed! I will keep you posted on my progress!